There are so many deserving dogs that we are hoping to bring over. 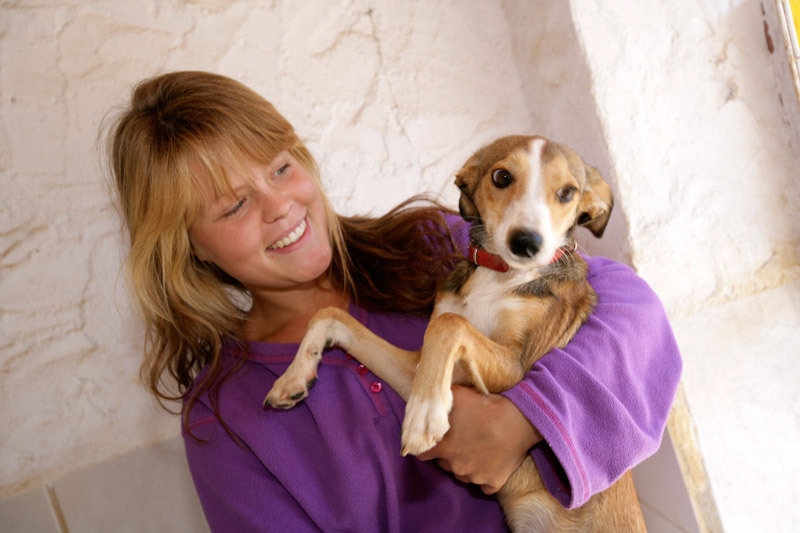 Most have been in the shelter for many years or have been found stray and neglected on the streets – almost all have little or no chance of getting re-homed in Spain. We desperately need funds to help us pay for their preparation and to help pay for transport. Furthermore, we need funds to pay for long-term medical fees for some of our long-term residents and to provide adequate protection for them throughout the year from diseases. If you can help us fundraise please get in touch we are a very small rescue and would really appreciate your help or ideas. If you have any spare food, leads, collars, medical supplies or travel crates please contact us. You could perhaps try asking your local vet or pet shop for us – often they have damaged stock they cannot sell and end up throwing away. We have a van company that very kindly takes over supplies for us to Spain for free. Adopt one of our lovely dogs or cats. If you think you can give them a good home and a little extra TLC. Read about some of our other supporters have to say about the dogs they have re-homed for us here. If you would like to get involved and help us, please get in touch. We can organise trips to the shelter and accommodation, or you can help us over with dog walking, fund raising, fostering or anything else you can think of! We are also encouraging people to go and visit shelter when they are going over to Spain to perhaps spend a day there and help out – and maybe take a few essential supplies over to them. Please spread the message about the terrible plight of Spanish animals and encourage them not to buy a pedigree animal, when there are so many rescue dogs out there that need loving homes (please see our blog about pedigree dogs). There are now two very easy ways you can help to raise funds for SOS Animals UK. Easyfundraising is a shopping directory listing some of your favourite online stores including Argos, Next, Debenhams, John Lewis, HMV and over 600 others. Just use the links on the easyfundraising site whenever you shop online and, at no extra cost to you, we’ll receive a free donation of up to 15% from every purchase you make. It really is that simple! It’s completely FREE to register and you won’t pay a penny more for your shopping when you use the easyfundraising site. In fact you can even SAVE MONEY as many retailers offer discounts, special offers and even ‘e-vouchers’ exclusively to easyfundraising. If you shop online anyway then why not raise valuable extra funds for us using this fantastic scheme. All you need to do is visit http://www.easyfundraising.org.uk/sosanimals and when you register, select SOS Animals UK as the organisation you wish to support. You can also raise funds when you search the web – with easysearch, a search engine with a difference! When you search the web with easysearch instead of Google or any of the other search engines, you will raise funds for us with every search you make! Just like easyfundraising it is completely free to use and if you make just 10 searches a day, you could raise £20 a year – or more – for us, just by switching to easysearch. What’s more easysearch is a ‘super’ search engine that combines the strengths of several search providers together – Yahoo!, MSN, Windows Live Search, Ask.com and many more. Easysearch tracks down the more relevant and accurate results from across the web, which means you will find what you are looking for quickly and easily every time – all in one ‘easy’ search. Check out out unique easysearch page at http://sosanimals.easysearch.org.uk and use it every time you search the web.